The days are long when you are forced to stay indoors owing to the weather being wet and windy . Only the fields are flooded where I live so I.m not complaining . I cannot believe tomorrow is the start of another month . Because I cannot get out and about without an umbrella I have stayed home doing reading and crochet . My crochet has never grown so fast . I have spent more time than usual blog reading and found new to me some interesting blogs , gathered a few ideas hoping to put into practice . I have been trying to answer comments to my last blog but Mr Blogger would not bring my comment friends to me after the first two . I shall try again so I hope friends will know I'm trying to answer. 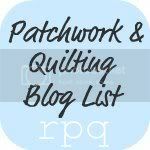 I found a site called Freebies for crafters , give it a try if you are looking for new blogs to read . I wish I could send you some of the sunshine we are having in Western Australia. we have been lucky here in Leeds not had until the last 2 days much rain at all. Dare I look for more blogs to follow, seems I spend about 2 hours a day following up on the ones I follow already, just as well I am up so early as that is when I do my catching up. Thanks for your comment, have you tried needle tatting, its much easier than tatting with a shuttle, if you like it you can progress to a shuttle, there are tutorials online to get you started. I tried so many times over the years with a shuttle and just could not do it and then I finally got it with a needle just last year. Gorgeous daffodils!We saw the sun this morning, so it's still there, somewhere! The sun we had for three days this past week has now gone again and yes.....it is snowing again. We could be in for a messy weekend as the temps are going to be hovering around the 0*C, forecast calling for possible rain or freezing rain. Love your daffodil picture, won't be seeing mine for a few months yet.